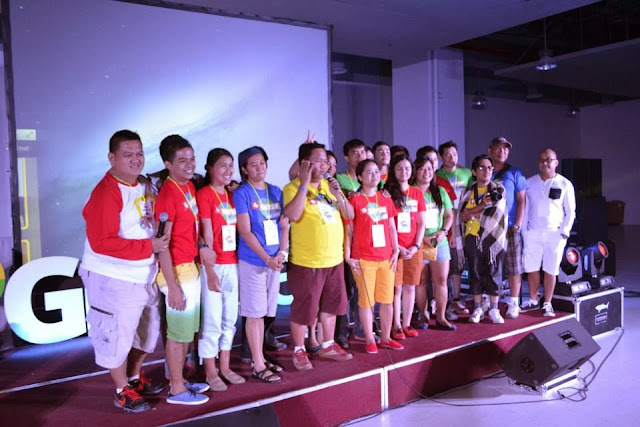 General Santos City-Despite rumors of tsunami alert at around 2:00 am of November 16, 2013, Google enthusiasts were not to be discouraged in participating to Mindanao's biggest GOOGLE-ific day ever! 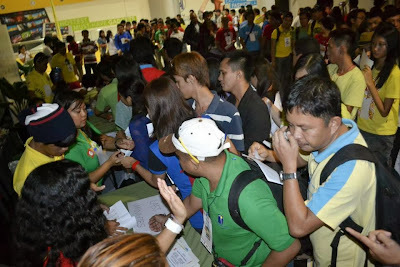 GDayXMindanao rocked the Trade Hall 2 of SM City General Santos as Googlies from all parts of Mindanao ( Davao City, South Cotabato, General Santos City) lined up for registration at 7:00 in the morning, all excited for the day's event. A queue of participants at the Trade Hall lobby waiting to be enlisted . 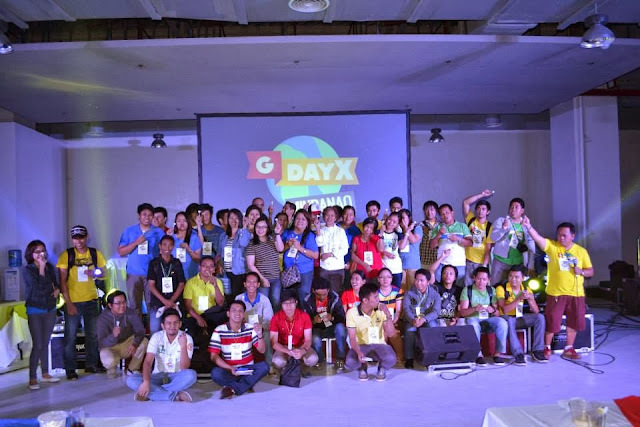 Avel Manansala, GBG Gensan Manager and GBG Philippines Co-Country Regional Champion officially opened the program and welcomed the participants for the day.The ball started rolling with the introduction of the event's keynote speaker, Ryan Morales (Head of Marketing Google Philippines) followed by a battery of equally great speakers : Aileen Apolo De Jesus (Outreach 10X), Erica Hanson ( Women on the Web)& Bernie Arellano ( Crisis Mapping) -who also offered a moment of silence for the victims of superthyphoon Yolanda) All four speakers gamely answered questions from the participants during the "Ask Google" session. & the morning speakers during the "Ask Google" Session. With all these interesting and brilliant topics coupled by our dynamic pack of speakers, GBG Gensan hoped to inspire and equip Businessmen, Educators and Students with different Google Products which can help them go a thousand extra miles in their respective interests coming up with a gazillion ideas to power them up improving not just by 10% but 10x better! 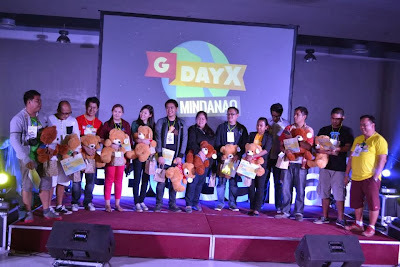 GBG Gensan Manager Avel Manansala and their Teddies. Google schwags added excitement to the day ,too. 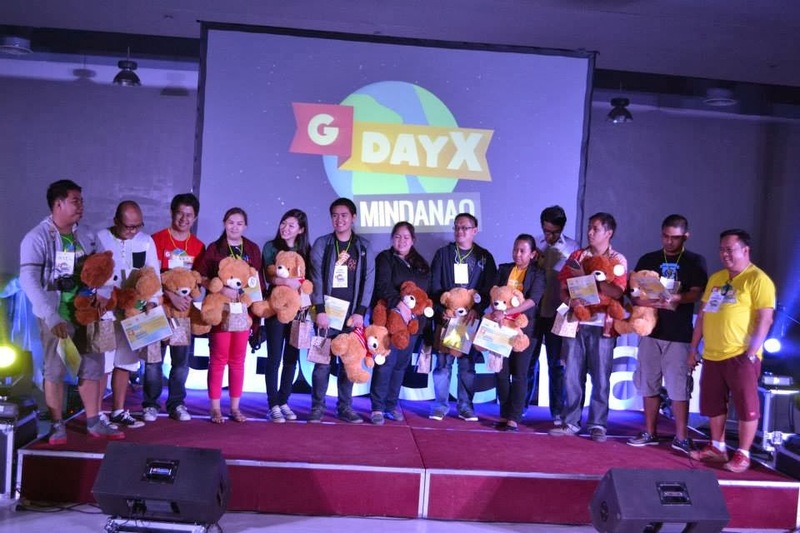 Different google items like fans, ball pens, lanyards, key chains,notepads , wrist pillows and android flash drives were raffled off to lucky participants. 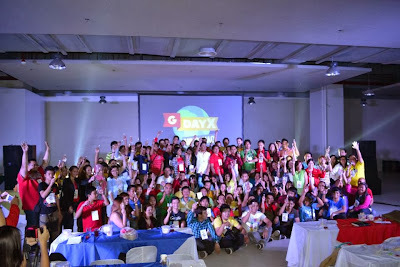 GdayXMindanao is so far the biggest event for the year spearheaded by GBG Gensan and powered by Google. It is co-presented by SMART LiveMore, IdeaSpace Voyager and SM City General Santos together with the Department of Tourism XII and its Official Partners: Greenleaf Hotel, Down Low Lights & Sounds, MP Princess Printers, Gregoria Pringting Press, Ranchero Nuevo, ABS-CBN Regional Network Group and the SoCCSkSarGen Bloggers . I'll take this opportunity to thank all 350 participants who came to join & celebrate GDayXMindanao with us. To all our zippy speakers, thank you for sharing your time , expertise & effort . We're looking forward to another chance where we can continue to Connect, Inform & Inspire ! A huuuuge hug for our ever energetic, funny & jet-setter-walang-tulog-mode but still Ganda-ever-so-much-emcee-so-much Orman Manansala. To Team Michael, thanks a bunch kiddos! And to the members of the sub-group of GBG Gensan: WALANG TULUGAN TEAM: Ric & Sheng Dumalay, Rap Gregorio, Roger Tadefa JUNIOR, Job, Lizy & Cidy, Master Erwin & Christine,Daddy Mr. Pogi Laurence Erojo, Rose & Arnel, The assistant to the "I am an Event Organizer": Poppy Rillo & The official assistant of the GBG Manager Planet Man MARCELINO Bendol. Kasing-BIG niya na pasasalamat sa mother naming lahat, Mamu Avelmar Ortega Manansala for working hard to make this event ohzhum & a REyahleety! 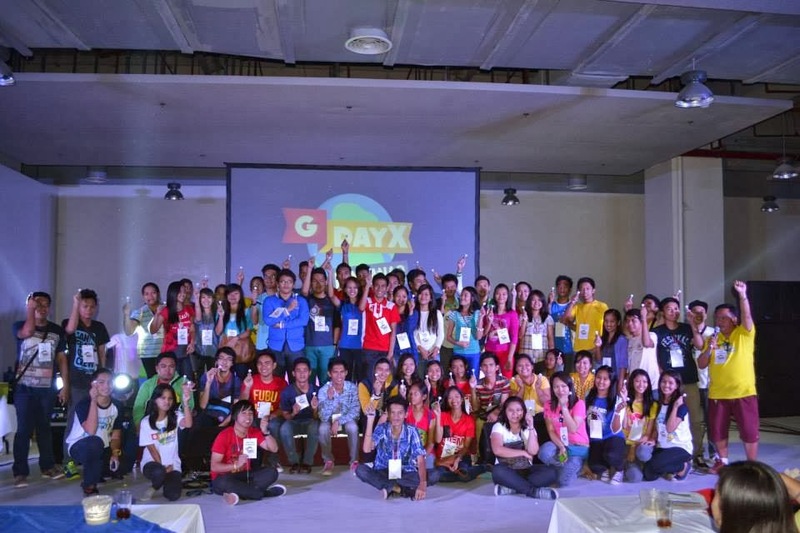 And to all the members of GBG Gensan , we ROCKED it guys! Ang geleng-geleng natin! Teehee! Kudos to us All. Party Na! 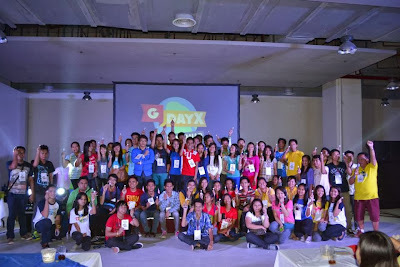 PHOTO CREDIT TO GBG GENSAN MEMBERS & DOCUMENTATION TEAM. epic ang paglabas mo sa You Tube! hahahaha! nyahahahaha! mali nga e.....dapat ginaya ko yung una ulo! hahaha!